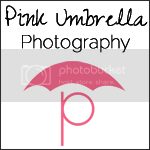 Pink Umbrella Photography: Wyatt is my Super Hero! 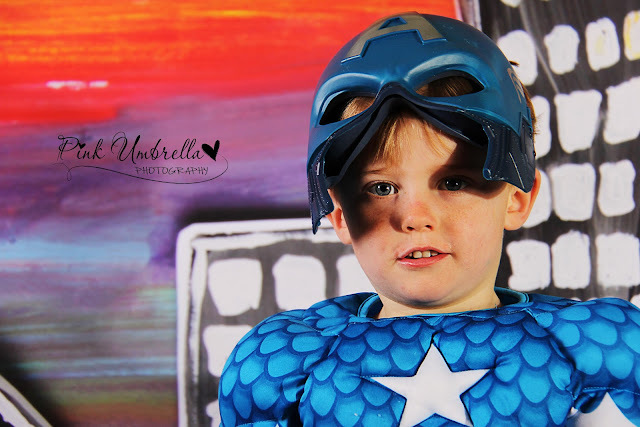 Wyatt is my Super Hero! So.... 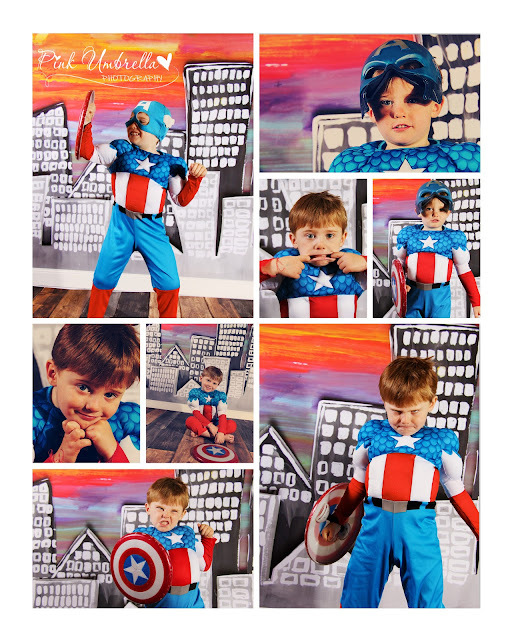 I got a few more backdrops and one of them I bought just for my sons 4 year old pictures. He is a Super Hero for sure!! He LOVES anything Captain America or The Avengers. So, we went with it and decided to do a themed super hero party. 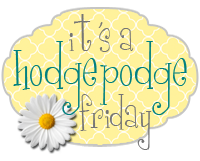 Thanks to my friend Meredith for suggesting it! I am also helping a friend of mine out who just started her own business doing cakes and cupcakes. She use to be a events planner and now wants to start planning birthdays! Let me tell you she is one talented lady that is for sure!I have seen many of the different things she has done and I wish I was as talented as she is. You can check out her site called Prissy Cakes. 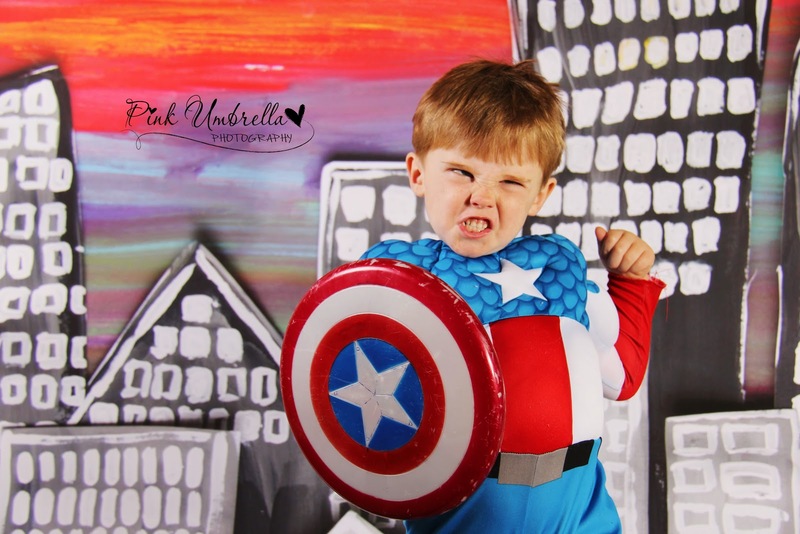 So.... here is my Super Hero!! He is lacking personality huh? HAHA! I LOVE this next picture of him.